The context: After cutting his teeth in a variety of folk, R&B, and blues bands for most of the '60s, former football club apprentice Rod Stewart became one of the great British rock singers as a member of the Jeff Beck Group. Stewart could wail like Steve Marriott (whom Stewart would replace when The Small Faces became Faces), but his distinctive vocal raspiness most recalled Sam Cooke, firmly placing him in an American soul tradition his peers could only emulate. Joining Faces with long-time partner Ron Wood, Stewart also launched a solo career that applied a folk sensibility to his band's feel-good Stonesy rock. Alternating Faces albums with more subdued solo releases, Stewart hardly seemed stretched thin in 1971: Faces put out its two best albums, Long Player and A Nod Is As Good As A Wink… To A Blind Horse, and Stewart made his solo masterpiece, Every Picture Tells A Story. Sadly, his remarkable talents as a singer, interpreter, and songwriter would never be showcased so well again. The greatness: The sad fact of Stewart's career is that he's been rewarded far more handsomely for his lesser music than for the gritty, emotionally resonant work he did early in his career. Every Picture Tells A Story's No. 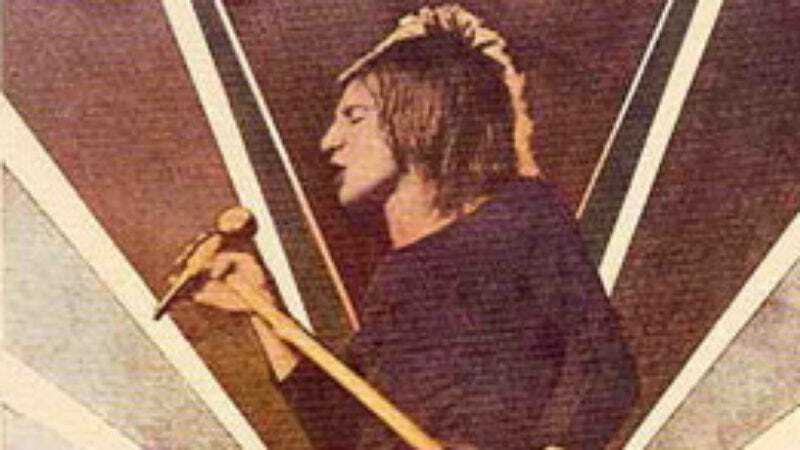 1 single, "Maggie May," sowed the seeds of his destruction. Stewart made a career out of playing the same young stud depicted in the song (well past the point where he was young or studly), but without the self-effacing humility that makes "Maggie May" so charming. Those who only know Stewart as a strutting peacock in Spandex pants (or as a witless crooner with all the edge of a handful of shaving cream) won't recognize the man on Every Picture Tells A Story; here, Stewart is supremely confident but not cocky, ingratiating but not smarmy, sentimental but not cloying. It's the polar opposite of what he's been for 35 years. As a song interpreter, Stewart was virtually unparalleled at the time: his apocalyptic take on "(I Know) I'm Losing You" (backed by Faces) tops even the Temptations original, and his heartfelt versions of Tim Hardin's "Reason To Believe" and Bob Dylan's "Tomorrow Is A Long Time" are definitive. As a songwriter, Stewart rocked up English folk music but with a keen eye for lyrical details. The title track is a coming age story where the protagonist is sent off by his father with the wise words, "Don't lose your head to a woman that will spend your bread." Meanwhile Martin Quittenton's majestic acoustic guitar is smashed to smithereens by Mick Waller's unruly drumming, the exhilarating sound of a young man breaking free and realizing his potential. Defining song: "Mandolin Wind" is the only song on Every Picture Tells A Story written solely by Stewart, and it's the album's most devastating moment. A plain-spoken story about a prairie couple struggling to hold it together as life around them falls apart, "Mandolin Wind" is a hauntingly complicated love song; the protagonist is grateful for his wife's loyalty, and also shamed by it in the face of his failure to provide for her. Most of the song positively sparkles with the rich country-folk backing of Wood's pedal steel guitar and Ray Jackson's mandolin, but when Waller's drums finally come in Stewart breaks down: When he sings "I love you," it's out of desperation, not affection.